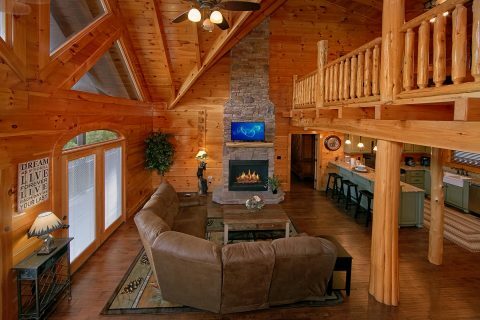 Planning a group getaway in the Great Smoky Mountains? 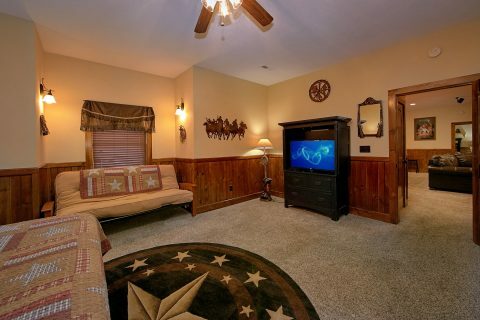 Look no further than "Chateau Relaxeau!" 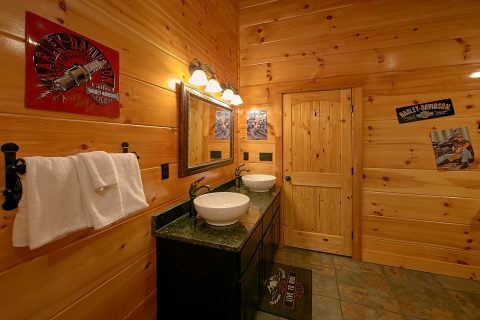 This 6 bedroom cabin rental has plenty of space for your group and a host of excellent amenities to enjoy during your stay. 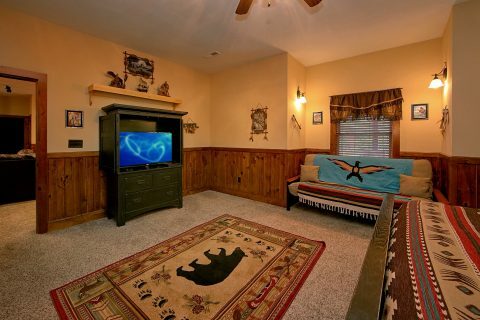 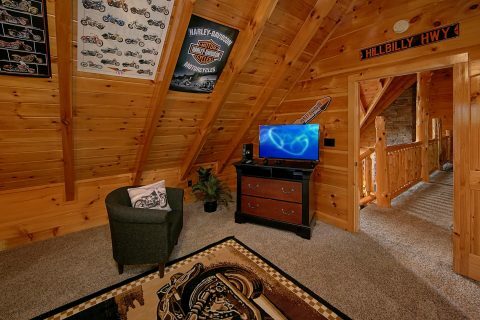 For great in-cabin entertainment, this chateau in the Smokies comes with a game room that features a pool table, air hockey table, and a seating area with a flat-screen television. 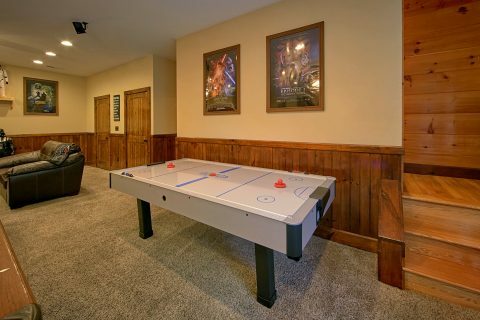 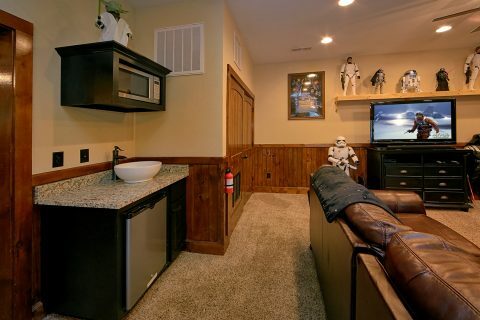 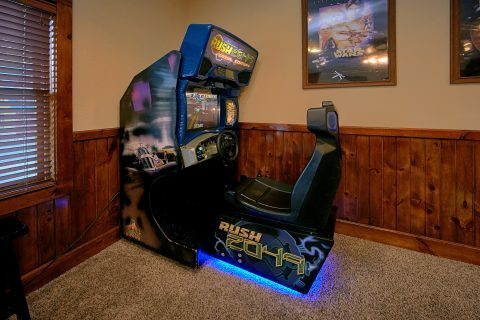 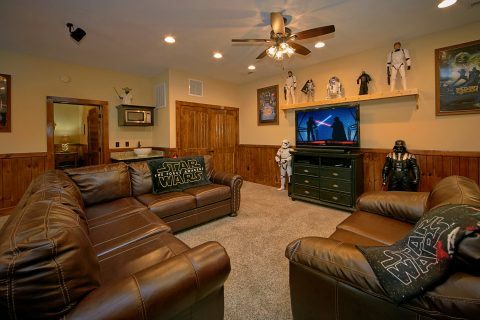 This room also features a wet bar with a mini-fridge for enjoying refreshing beverages and snacks in the game room. 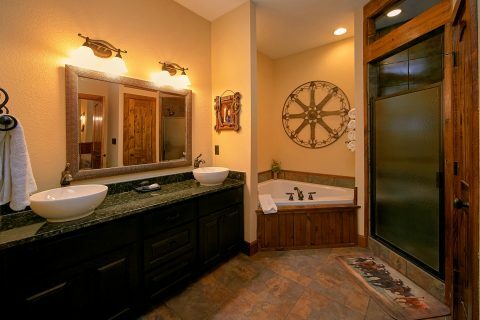 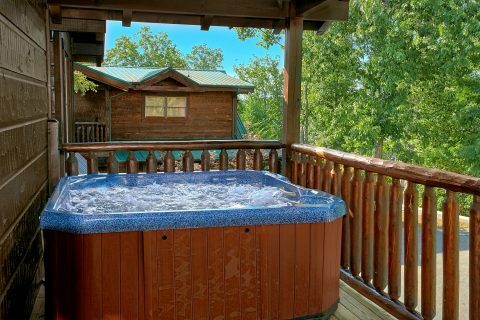 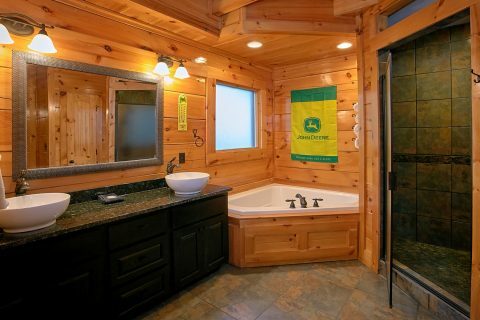 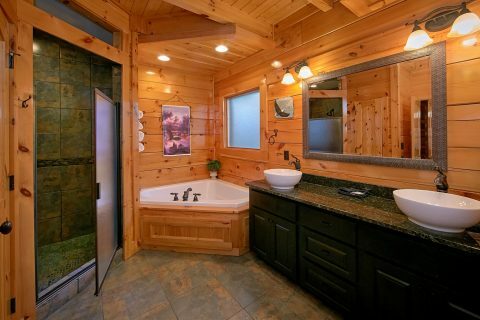 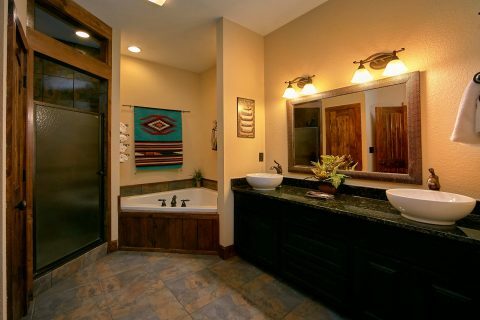 Additionally, this cabin features a hot tub and jacuzzi tubs for enjoying a relaxing soak during your stay. 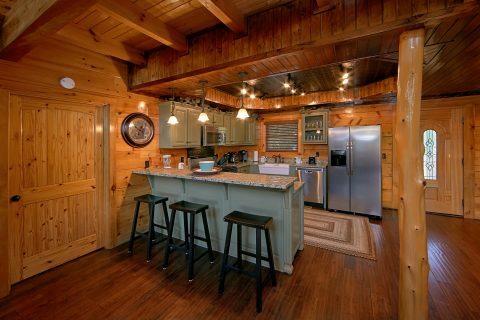 Thanks to this cabin's prime location in Alpine Mountain Village, guests of this cabin will enjoy resort access to two swimming pools. 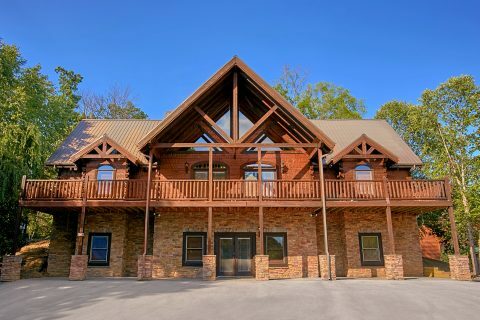 Better yet, this rental is only minutes away from the heart of Downtown Pigeon Forge and Gatlinburg, so you'll have no shortage of great attractions to explore like Dollywood and Ripley's Aquarium of the Smokies. 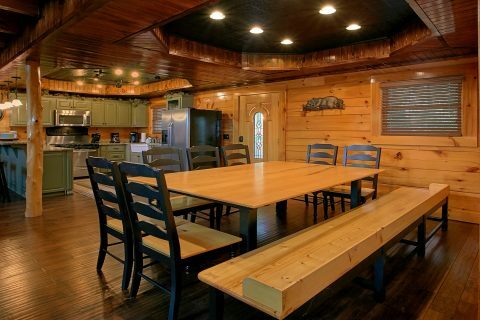 Your cabin also comes with practical features like plenty of flat parking space, WiFi Internet, a gas fireplace, a full kitchen, and a gas grill for enjoying delicious dinners in your cabin. 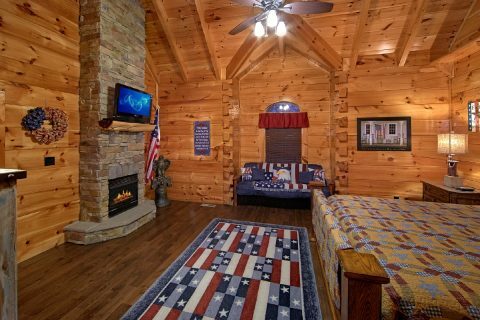 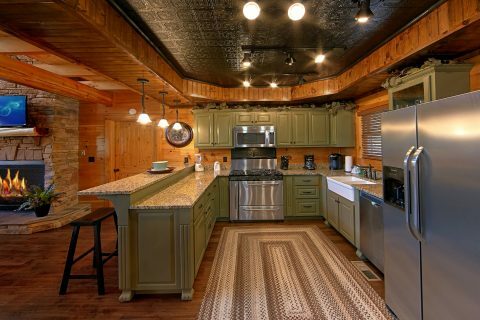 When you're ready to retire for a good night's rest, you can look forward to staying in one of this cabin's 6 bedrooms. 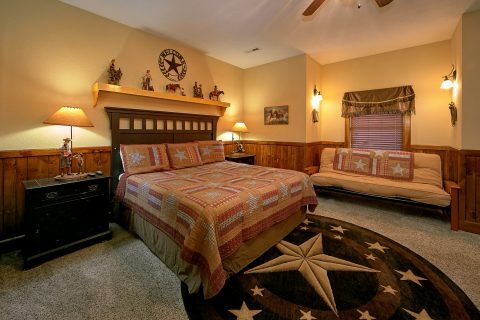 The main floor features 2 king bedrooms on the main level. 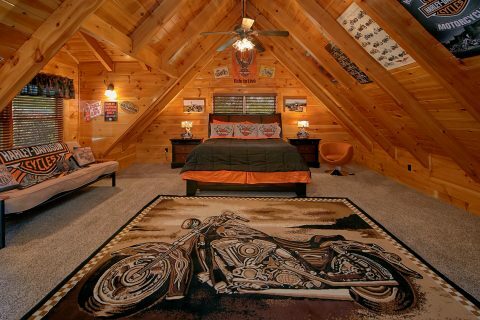 Upstairs, you'll find another king bedroom and another bedroom with 5 twin beds. 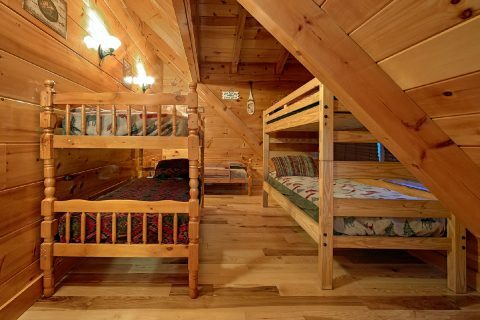 Downstairs, there's even more comfortable sleeping space with two more king-size bedrooms. 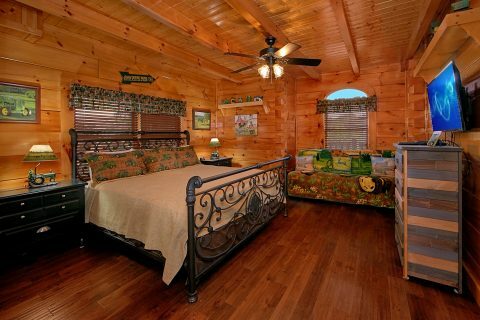 For extra guests, there is one futon in each of the king bedrooms for a total of 5 futons. 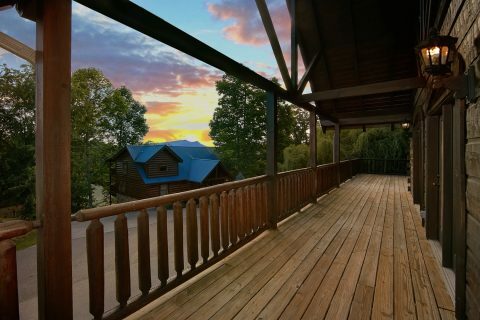 Altogether, this cabin sleeps up to 20 guests, but if you require room for more guests, there is a nearby cabin that can be booked together with "Alpine Mountain Lodge." 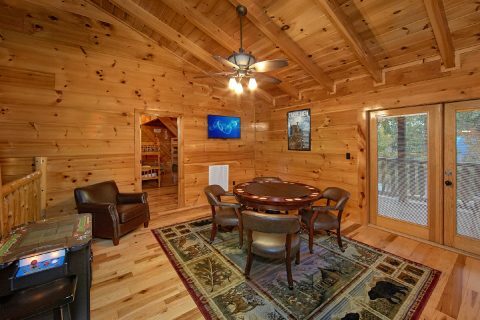 "C'Mon Inn" has enough space for 25 guests, so you could plan a truly spectacular group vacation to the Smokies by booking these two cabins together. 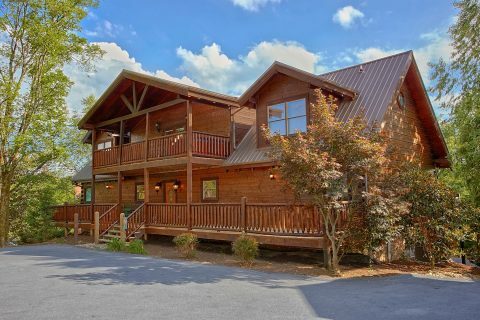 If you're interested in a multi-cabin vacation, please contact our reservations office to make these arrangements. 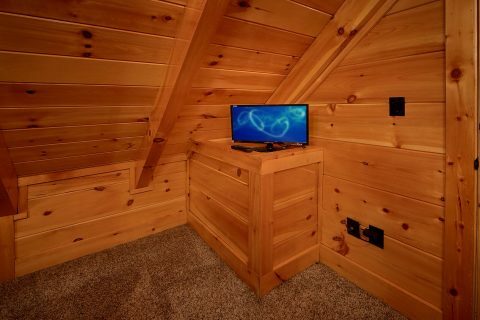 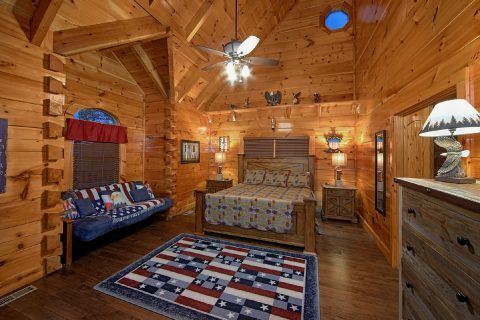 Don't forget, you can get a great deal on this luxury cabin by reserving it online with Cabins USA Gatlinburg! 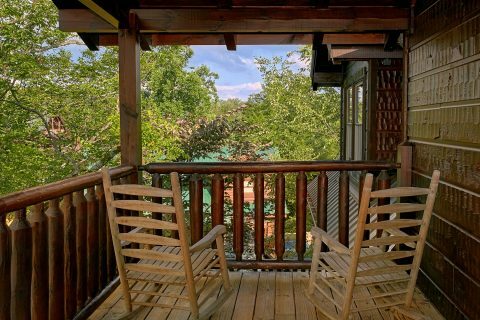 Save 15% on "Chateau Relaxeau" by booking it today!